The ceramic Kalita Wave is one of our favorites! 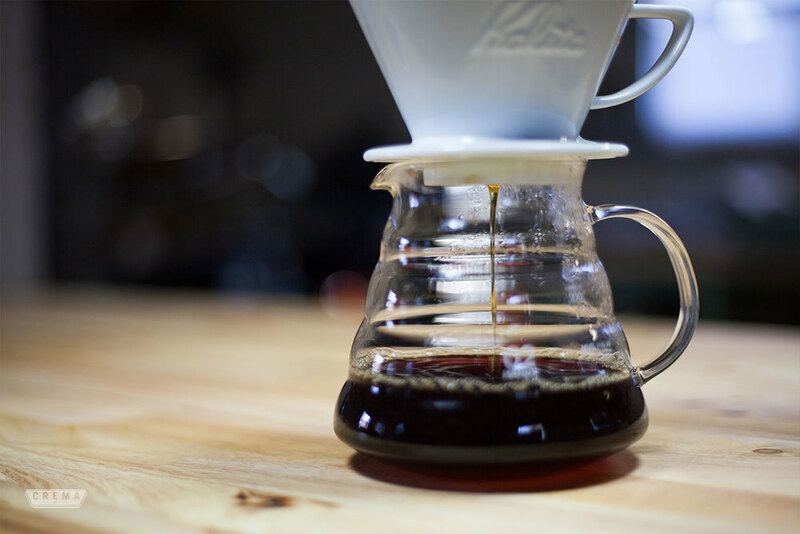 It brings a classic and dynamic brewing technique to the pour over method. The dripper features a flat-bottomed brew bed for even extraction, and a filter design that reduces contact between the brewing space and the dripper itself. Used by top specialty coffee bars around the world and in professional coffee making competitions, the ceramic Kalita Wave allows you to brew your favorite coffee more evenly, which directly contributes to fuller flavor and a more balanced extraction. This guide will produce one 12oz cup. Rinse filter (with boiling water) by pouring directly into middle of filter. Pouring on the sides can compromise the shape of the “wave” filter. 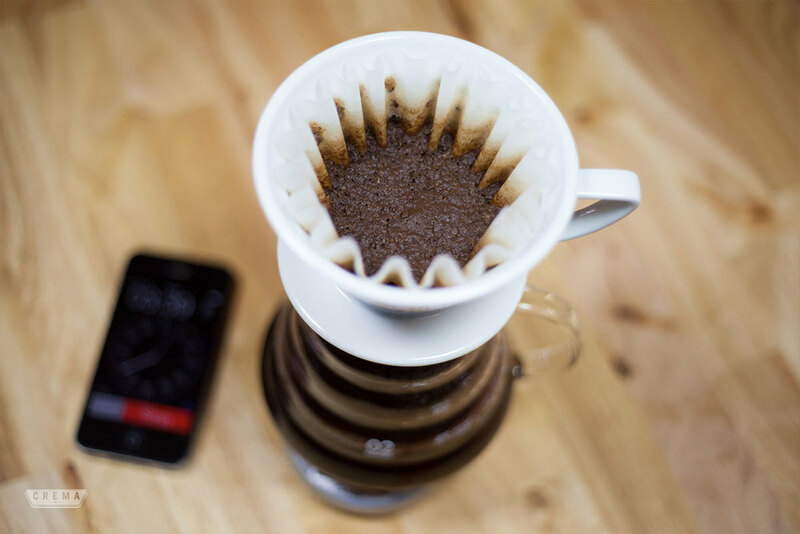 Rinsing the filter removes any paper taste of the filter and the hot water will preheat the Kalita. 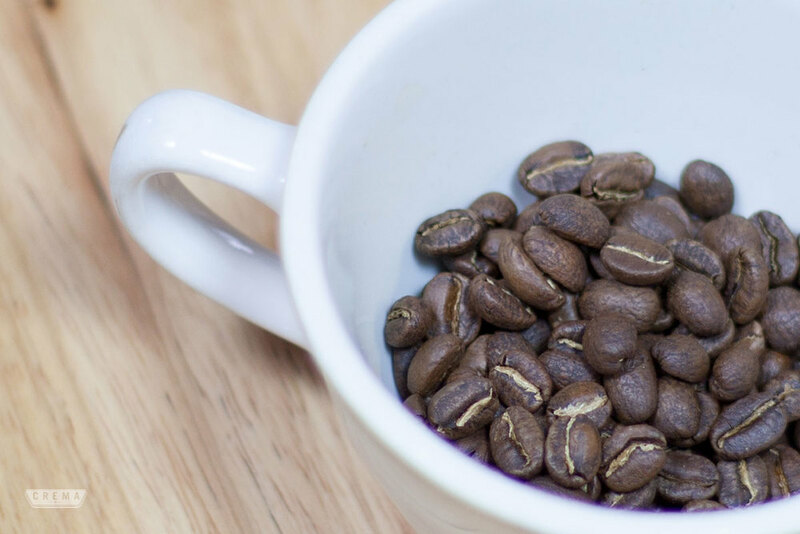 Weigh out about 27 grams of coffee to be ground. Fill kettle and heat water. Pro tip: weigh out slightly more coffee than will be used, often a gram or two is lost in the grinder. Grind coffee. The particle size should be just finer than sea salt. 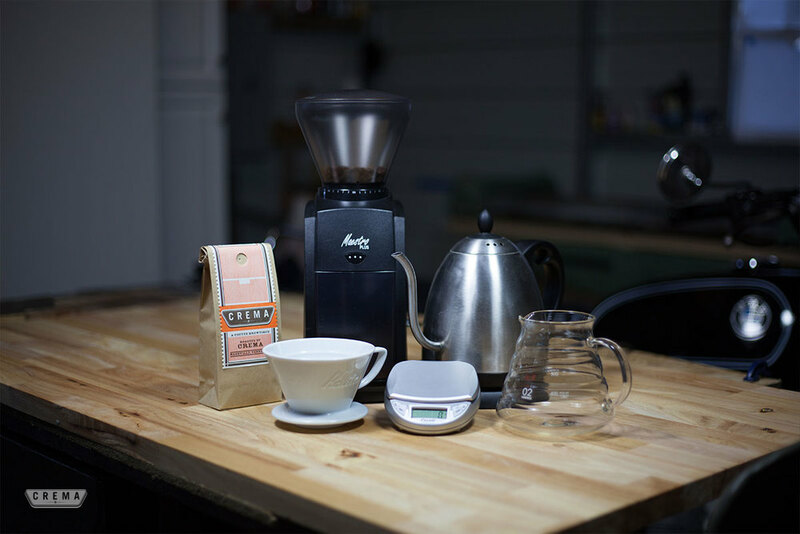 Weigh 25 grams of ground coffee into Kalita and tare scale. Give it a gentle tap to flatten coffee bed. This will help to even the water distribution when pouring. Just after boiling, remove kettle and let water settle. Start timer and pour enough water to just saturate coffee bed. Let bloom, or expand for 30 seconds. Allowing the coffee to bloom ensures even water dispersion and a delicious cup. Pro tip: To find the correct bloom amount, double the number of grams of coffee used. If 25 grams of coffee was used, then bloom with 50 grams of water. This will be just enough water to saturate the grounds and leave you with enough water to correctly finish the brew. Pouring in slow concentric circles, add enough water to raise slurry to about halfway up the side of filter. Continue adding water slowly in stages (also called pulse brewing), submerging the crust as you go and letting the slurry drop a little before adding water to bring it back to the same level. Try to add all water by 2:45-3:00. Once you’ve added 400 grams of water, give it a little stir if needed and let drain. You've done it right if the coffee bed is flat after draining. 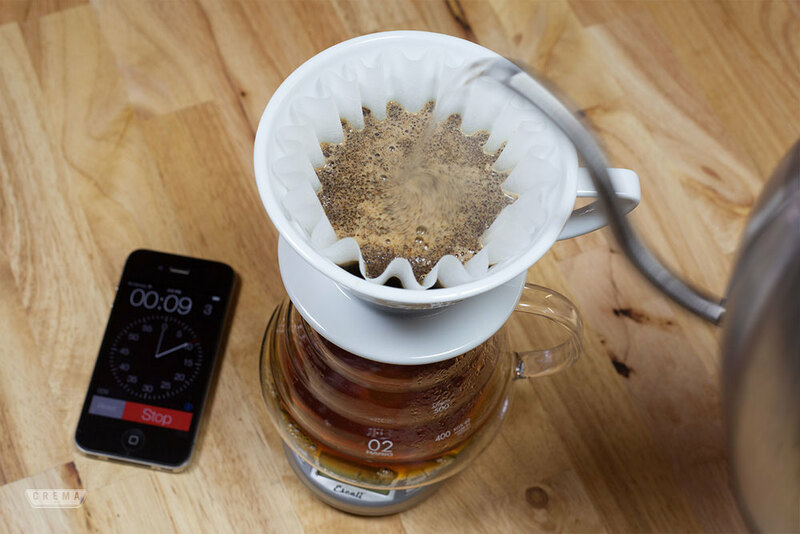 Your total brew time should be 3:30-3:50, depending on the coffee. Remove filter and serve. Most importantly, enjoy! 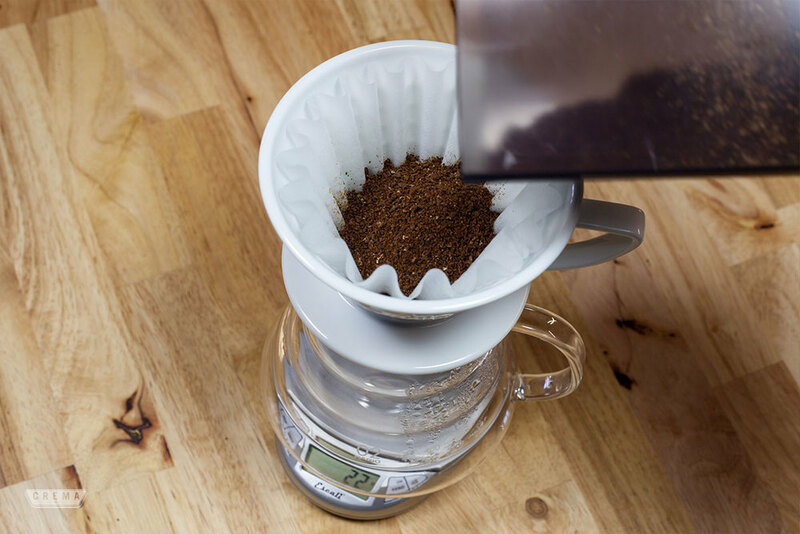 With any pour-over, the water level will greatly affect how your extraction progresses. Keeping your level low will slow down the flow rate as well as allow you to maintain a more constant temperature by adding water a little at a time. A high level will drain faster and dissipate heat more quickly. A good barista will be able to manipulate their water level to achieve the desired flow rate and overall contact time. In other words, if you’re making a smaller batch, take care not to add too much water too quickly as you’ll finish before your target time and end up with under extracted coffee. If you’re making a larger batch and you find things are going too slowly, you can add water faster to speed things up.